OK, I hate putting blog posts like this together because it involves sharing photos of me wearing no makeup. However, in recent months, I’ve decided to change my attitude a little. If I’m to always cover up my skin, representing this image to my followers that I have perfect skin, unblemished and problem-free, well that’s just false. I wear makeup daily, so the photos you tend to see over at my Instagram page are all typical me. However, when I remove the makeup at night, I reveal heavily pigmented, acne prone skin. But one thing that niggled me more than anything was a pesky thread vein I had sitting right at the top of my cheek. 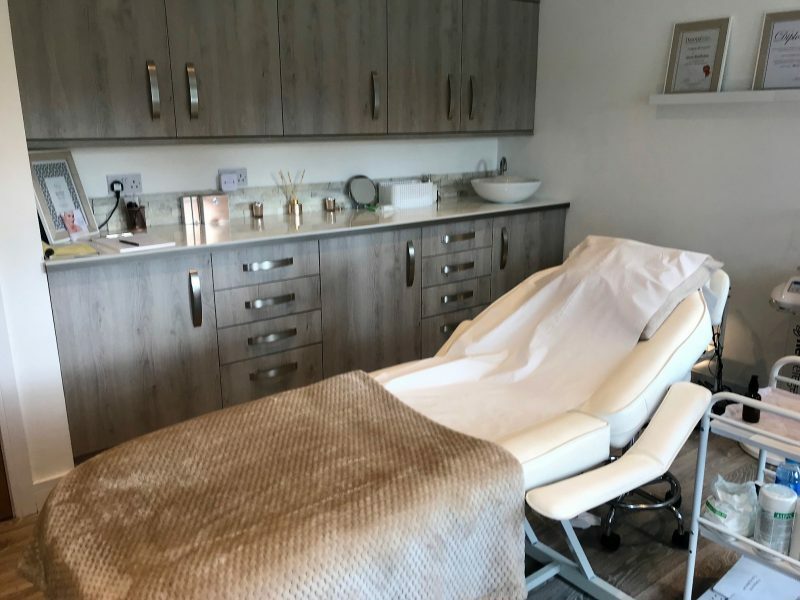 A couple of weeks ago, I visited a Adonia Aesthetics based in Bolton, to tackle two problems which are/were severely bothering me. 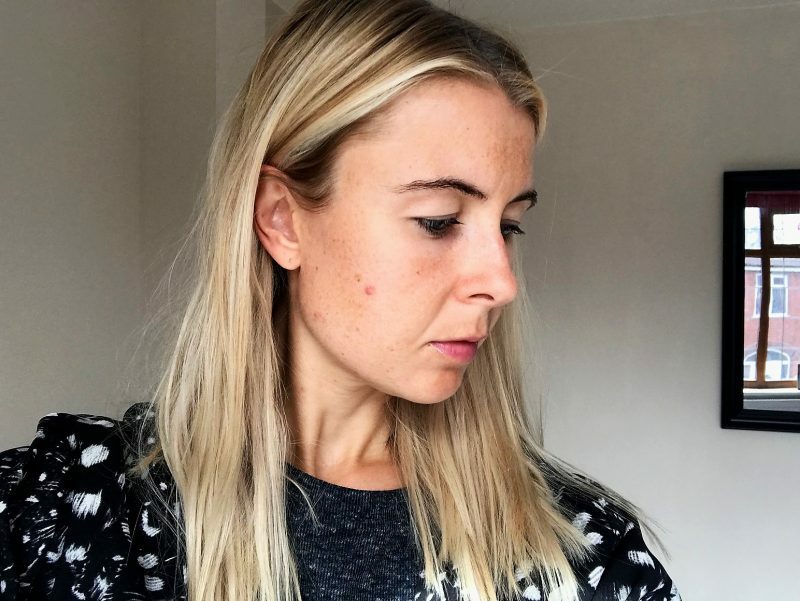 #1 – the thread vein just mentioned, and #2 – the return of acne, after years of being 90% clear. As with most things in life, I discovered Adonia Aesthetics via Instagram. 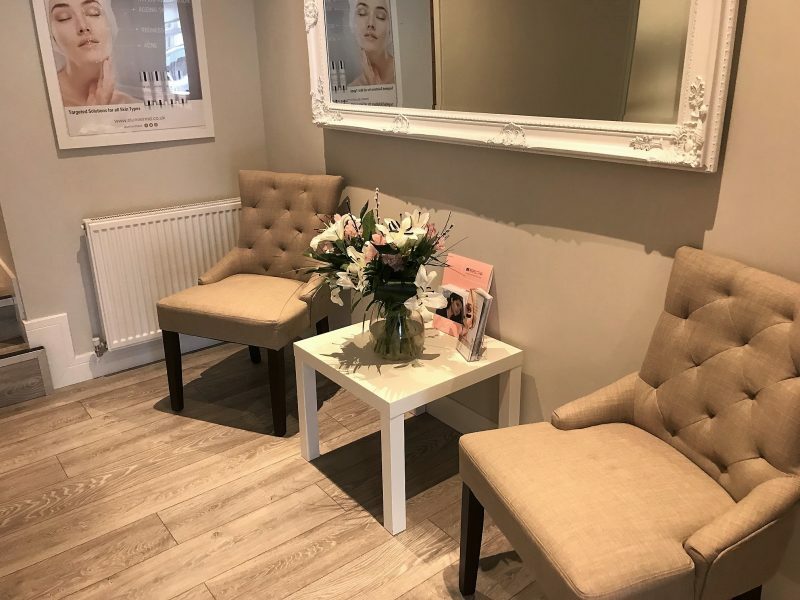 They are a beautiful medical cosmetic and skin health clinic based in Bromley Cross, on the outskirts of Bolton. They offer an extensive range of the latest non surgical cosmetic and advanced skin treatments, with a team of friendly professionals. The treatment list is pretty impressive, and they covered pretty much most of the treatments I’m interested in. You’ll find anti-wrinkle injections, dermal fillers, PDO thread treatments, chemical skin peels, anti-aging facials, medical grade micro-needling, LED illumination therapy, microdermabrasion just to name a few. 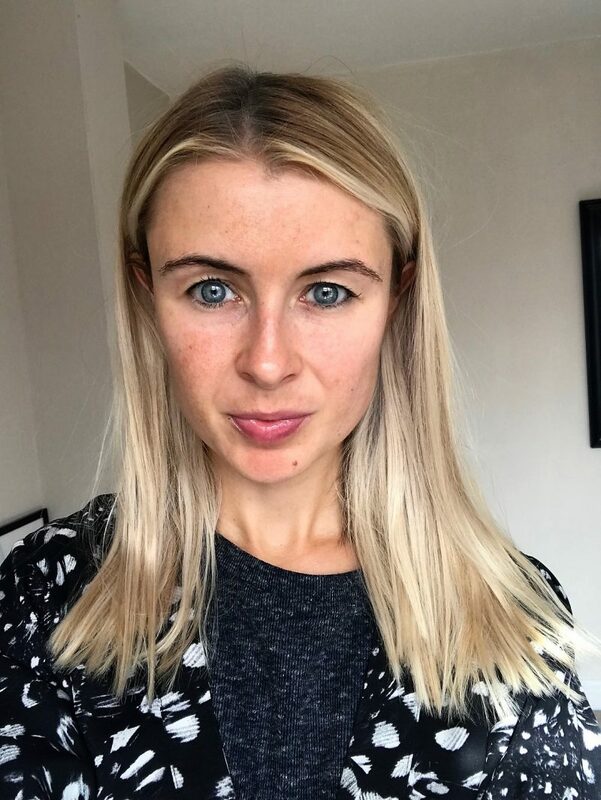 I headed down one afternoon and was looked after by the highly talented and knowledgeable Leanne, who was going to asess my current acne and pigmentation issues, and also tackle my annoying little thread vein. What caused my thread vein to appear? Due to having acne scars, a couple of years ago I experienced sessions of derma roller treatments. 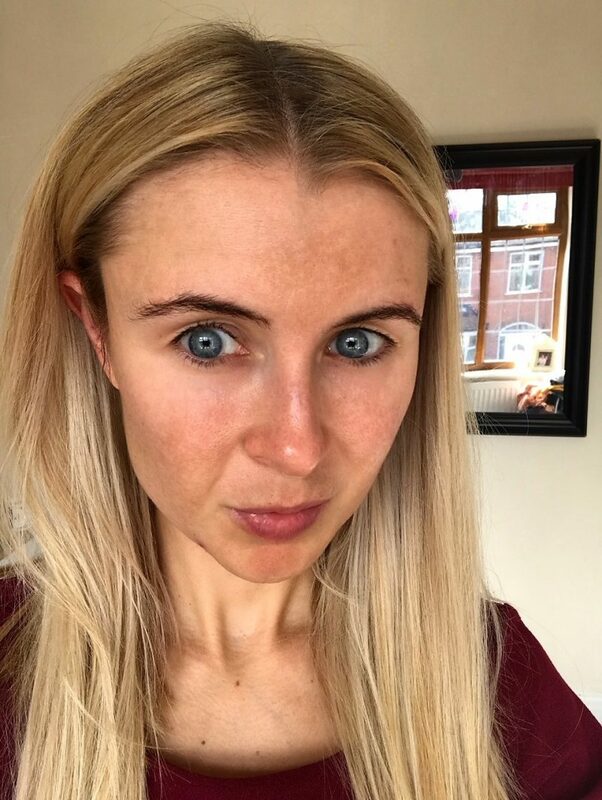 So the microneedling treatments. I rate them very highly, and don’t want to put anyone off. You’ll see how much I loved them from a number of reviews already on the blog, including this one here. However, during the third session by one practitioner, she used a needle that perhaps was a little too deep and maybe a little too rough on my skin, and it caused trauma that went beyond the trauma meant to be caused, so your skin can produce more collagen. The ‘trauma’ in this case was a nasty little thread vein in a deep red colour on my cheek. And it would be pretty much there for life. And below, its on the left side of the photo, like a large freckle, or light spot. The procedure uses a process known as Thermocoagulation, which seals the thread vein walls, causing them to instantly and permanently disappear. When I asked more about it, I learned that the simple difference between Thermavein and other methods of thread vein removal (such as electrolysis) is that a very low current of 4MHz is used during treatment. The low current means ThermaVein is safe, immediate and simple. 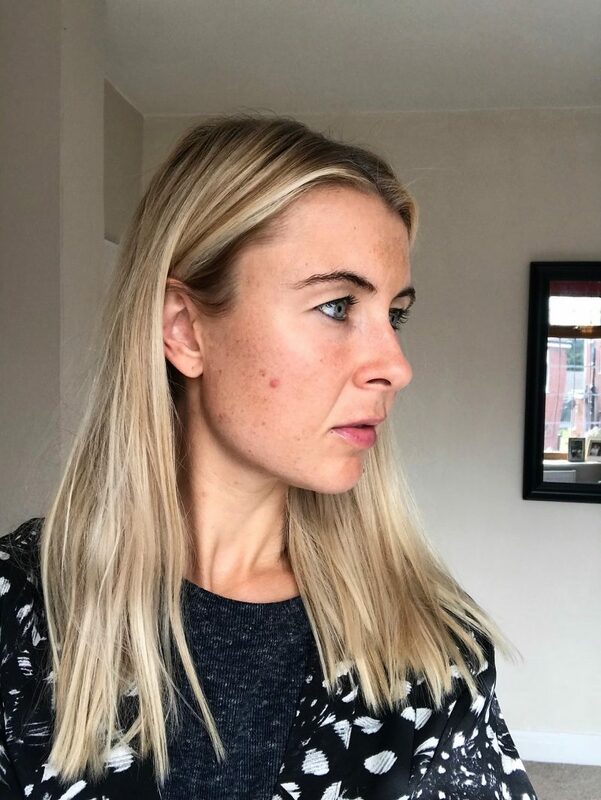 The ThermaVein procedure was my second treatment during my day at Adonia Aesthetics, as Leanne first did a full skin consultation with me and decided that a peel to treat both my acne and pigmentation would benefit me. 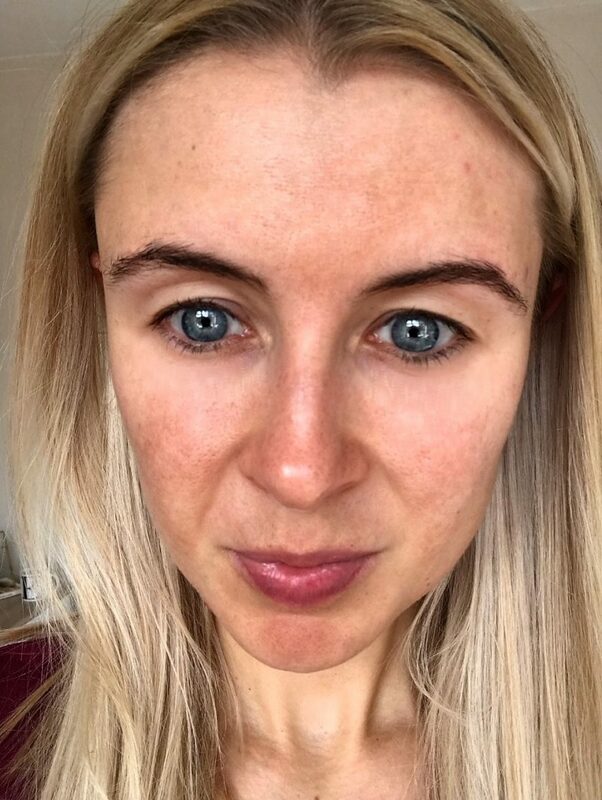 She decided on The Radiant 20/10 Chemical Peel, which costs £100. Its designed to treat acne, hyperpigmentation, uneven skin tone, congestion, open pores & oiliness, and is made up of lactic and salicylic acid, in a 20/10 ratio. and sun damage. 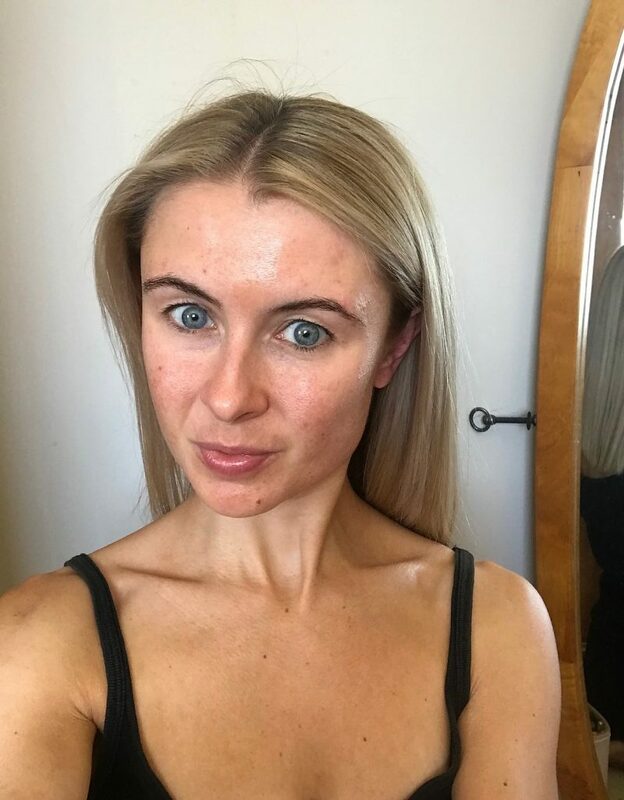 The whole treatment lasted around 20 minutes to half an hour, and apart from slightly tingling when the peel was left on, I didn’t have any discomfort, and no down time/redness afterwards either. 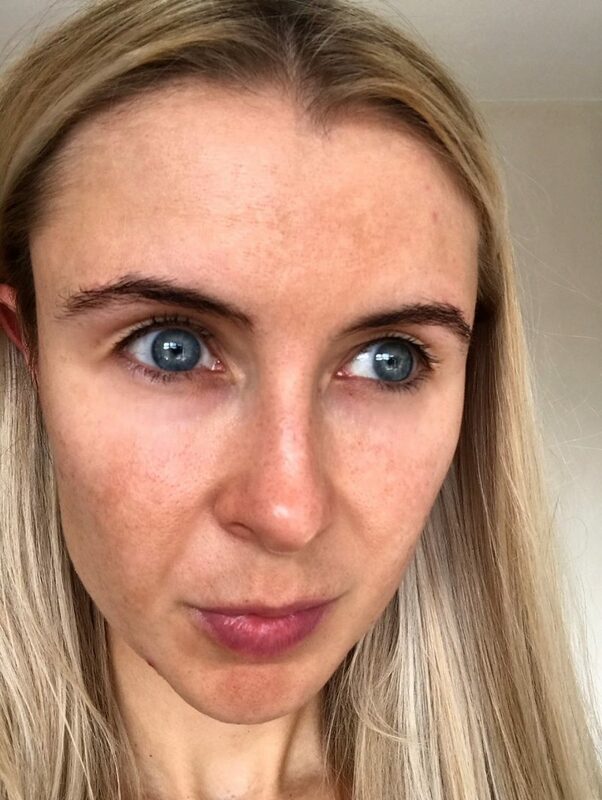 The photos above and below show what my face looked like the next morning, after both the peel and ThermaVein treatments. As you can see, I have a lot of pigmentation and acne marks (and active spots! ), but after the peel, I looked so much more glowy, fresh, and overall a much calmer complexion. I was overly happy at having no down time and no redness. 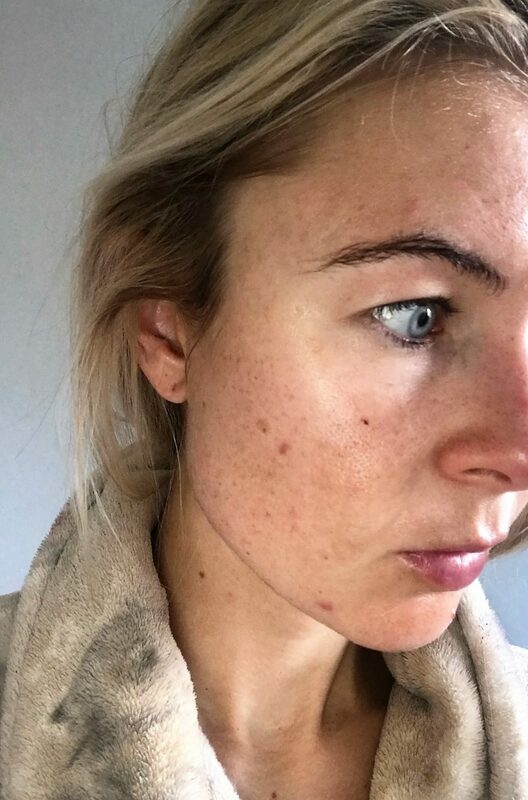 I always think from chemical peels that I would have a little bit of irritation, or angry looking red patches. I immediately noticed that after the chemical peel, the little bumps all around my jawline were much more faded, and when I ran my fingertips over what had been a very bumpy skin surface, it was so much smoother and exfoliated. 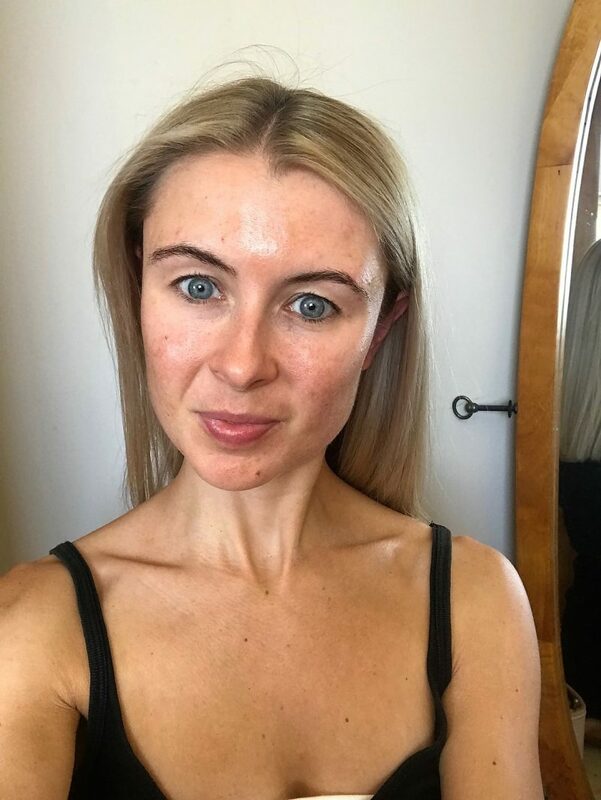 I would go as far as to say it was the best chemical peel I’ve experienced – and I have had a couple over the years – but this one gave me much quicker results than any other! As you can see, the vein actually goes worse before it disappears. And that’s simply because it is scabbing up, coming to the surface, before the scabbing heals and fades, leaving me with no traces of the thread vein. So as you will see below, here is the finished result, 7 days after both the peel and the ThermaVein. 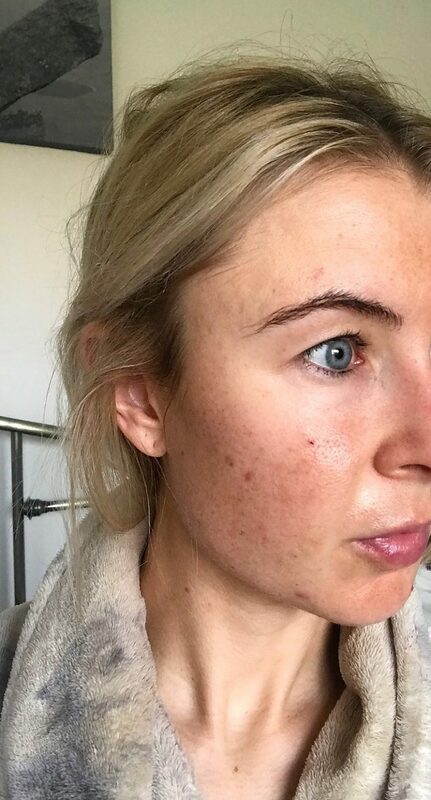 Yes, I’m not magically going to have all my acne and pigmentation disappear, because for that, I’d need to book onto a treatment plan which involves a course of peels and procedures. Never to return. Honestly, I left with nothing but positive feelings and pure satisfaction from both my treatments at Adonia Aesthetics. I live quite south to Bolton, in terms of towards the Cheshire way, so it was fair journey to get there but boy was it worth it. If you’re located in Manchester, Oldham, Bolton, Preston, South Lancashire etc, this place is absolutely perfect for you. The team prescribed me with a skincare range suitable for my acne, and I literally cannot wait to get using it. I’ll be back here for sure, hopefully for a top up of the chemical peel, and perhaps to look at Derma Pen, which is a kinder method of derma rolling which shouldn’t effect my skin like the last one did. Incredibly happy! You can view the full treatment menu at Adonia Aesthetics here.